NB COMMENTARY: There’s a rumor going around that Barack Hussein Obama may be elected into the Office of Secretary General come this December, 2016. Now wouldn’t having Obama as Secretary General of the UN, just bust a lot of buttons??!! Obama would be the perfect choice, as he is most in alignment with the type of puppet they need. But wouldn’t that be some history right there, the 1st Black President, and the first African American to be Secretary General of the UN!!! 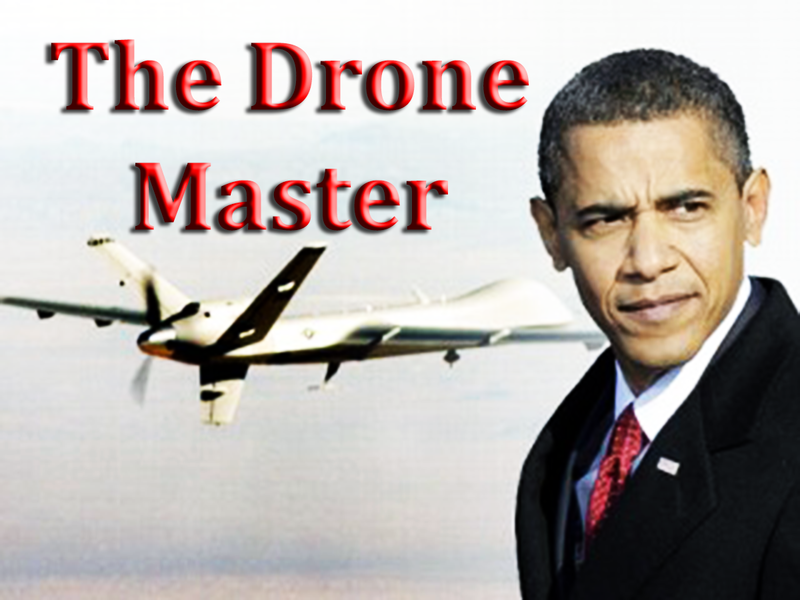 OMG, I see stars, I see fireworks, I see no fly zones all over the planet, and I see drones. Quiet as it’s kept he was allowed to preside over the security counsel which was unprecedented. Quiet as it’s kept the US has an overriding veto in the UN. And even more quiet is the fact that these folks do whatever they want to do. So if they decide that this is what they want, who cares about rules, laws, protocols. They are all made just to be revised and at the behest of the revisionists who spring up amongst us from time to time. 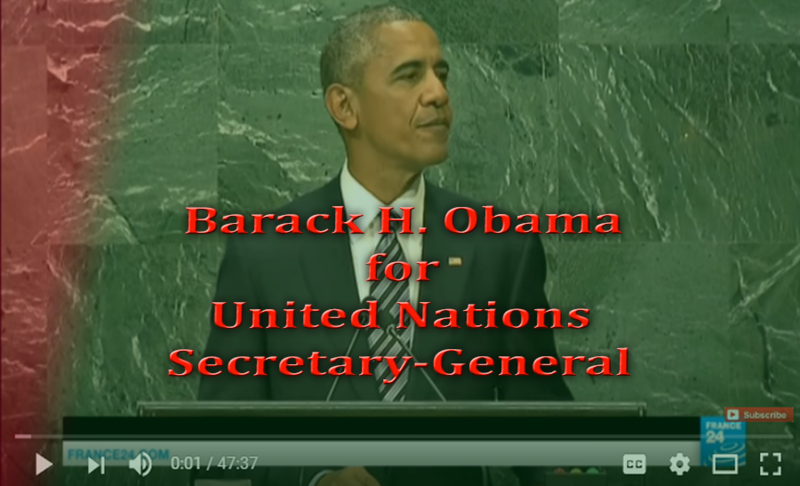 With Obama as Secretary General of the UN, the most lauded President in US history, the pronounced Global citizen, the man who literally stated at his last speech at the UN that a new day and a New World was in order to the cheers of all the straw voters. What’s to stop them? Everybody would just roll over and support the rolling out of the New World Order, hands down. Imagine, he will be able to sanction all his unsanctionable deeds. His predecessors, Kofi Anan, there during the kidnapping of Aristide from Haiti.. Moon, watching Libya burn.. would pale in the face of Mr. Drone Master as he rules the skies. We are in for a roller coaster ride. Lord Have Mercy.. say it isn’t so, Joe. Lie to me, tell me that he is NOT a party to the BIGGEST LIE EVER PERPETRATED ON THE ENTIRE WORLD! In slightly less than four months, President Barack Obama will be without a job—unless he has another one already lined up. Rumors are swirling that Obama is already lobbying to take the job of United Nations Secretary-General when Ban Ki-moon’s final five-year term expires on Dec. 31. Those rumors are similar to ones made in the final year of President Bill Clinton’s second term in office. In his final speech to the United Nations on Tuesday, President Barack Obama warned world leaders of deep and dangerous divisions between those who support more global integration and those who want to retreat into isolationism. The veto power is not the only issue with the United Nations Security Council. Kofi Annan, a former United Nations Security General criticised its make up. Annan claims that, in order for the UN Security Council to prevent fading into irrelevance, it must admit more permanent members. The UN Security Council seems to have been frozen in time. Its current permanent members seem an anachronism, failing to reflect the geopolitical realities of the current age. Stuck in a time when the world seemed divided into three zones, the West, with capitalism, and the East, communism, and the developing ‘third world’ up for grabs. France is no longer at the front line of a European advance against communism. China and Russia no longer represent a single axis of the world’s powers. As Kofi Annan rightly claims, the UN Security Council must change. United Nations, New York, 24 September 2009: The Security Council, in a summit meeting this morning presided over by the US President Barack Obama, adopted Resolution 1887, which, among other things, calls upon the States that are party to the Non-Proliferation Treaty (NPT) to comply fully with all their obligations and fulfill their treaty commitments. It also calls upon all States to sign and ratify the Comprehensive Test Ban Treaty (CTBT). Todays meeting only the fifth in the Council’s history to be held at the level of heads of State and government began with the unanimous adoption of a resolution by which the 15-member body voiced grave concern about the threat of nuclear proliferation and the need for global action to combat it. Although we averted a nuclear nightmare during the Cold War, we now face proliferation of a scope and complexity that demands new strategies and new approaches, said Mr. Obama, the first US President to preside over a Security Council meeting. Just one nuclear weapon exploded in a city be it New York or Moscow, Tokyo or Beijing, London or Paris could kill hundreds of thousands of people. And it would badly destabilize our security, our economies, and our very way of life.